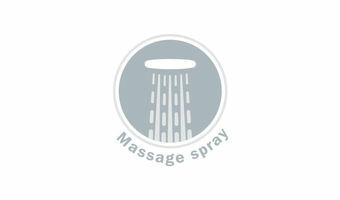 A pulsating spray pattern for a stimulating massage. If you are looking forward to a truly stimulating shower that will get all your senses buzzing, then the powerful Massage Spray is the perfect choice. This is a pulsing spray pattern that gives you a unique and invigorating all-over massage.